What do a rapper, a returned soldier, a reformed gangster, a grandmother, a petroleum geologist, a bestselling author, and a microchip engineer have in common? They are all wresting control of food from an industrial system responsible for a plague of poor personal and planetary health. 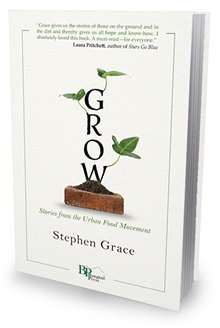 Stephen Grace embarks on a journey of discovery to understand what motivates these urbanites working to reinvent the way we feed ourselves. From the driver of a repurposed garbage truck healing the soil to a guerrilla gardener bombing the city with seeds, a cast of extraordinary characters emerges as Grace makes his way into the heart of a revolution. He discovers that food can be a means to tackle some of our most pressing problems, from youth crime to the healthcare crisis, from resource depletion to climate change. Instead of succumbing to despair over global challenges, the citizens of Denver profiled in Grow find the creativity and fortitude to begin rebuilding the food system in their own backyard. This shift in the Mile High City is a microcosm of a movement redefining our relationships with farming and food—and with each other. Grow is concerned with what we put on our plates, but its true subject is the stories we tell as we struggle to repair our severed connections to nature and our fellow citizens. In the tradition of great travel writing, Grow encounters worlds as diverse as permaculture and hip-hop with expansive curiosity and irresistible humor. Whether joining a crop mob or collecting compostable waste in an alley, whether foraging for cactus or seeking refuge in a café founded on compassion, Grace illuminates moments of growth as he explores the hardest parts of the city. While caretaking a house where the poet T. S. Eliot lived, Stephen Grace studied novel writing with Stratis Haviaras, founding editor of Harvard Review. 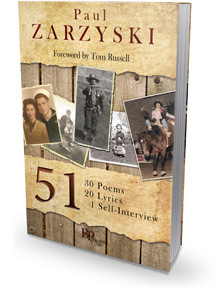 After his first novel was published, Grace moved to a trailer park in Laramie, Wyoming, in the wake of the Matthew Shepard murder, to work with at-risk youth and research a novel. 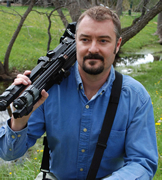 To publish a book about the historical cartography of Colorado, he collaborated with Library of Congress curators and with Vincent Virga, called “America’s foremost picture editor.” To research a narrative nonfiction book about China he sought out experiences as diverse as photographing skyscrapers in Shanghai and trail running in Tibet. To write Dam Nation: How Water Shaped the West and Will Determine Its Future, a Colorado Book Award finalist, he followed rivers west of the 100th meridian and charted currents throughout the region’s history. He served as a consultant for the film DamNation, which has won numerous national and international awards. He is the author of The Great Divide, a companion book to the film of the same name, about the past, present, and future of Colorado water. Grow is his eighth book. Aron navigated Big Bertha across the intersecting streets and through the alleyways of downtown Denver—a moment’s inattention and the repurposed garbage truck could knock down a streetlight, crumple a car, or pancake a pedestrian. I worked as Aron’s wingman. My job was to push bins into the mechanical embrace of the truck’s hydraulic arms, which lifted the bins above the truck and emptied compostable waste into its cavernous maw. Relying on my rusty rock-climbing skills, I scaled Big Bertha’s sides to gain its summit. Once atop the truck, I used a power hose to scour out the inside of the bins. As Aron stepped down from the truck’s cab onto the street, I aimed the water cannon at him; he fled from the spray, taking cover behind a dumpster. After I finished blasting the bins, I waved flies away from my face and tried to ignore the stench wafting from several tons of rancid meat and rotting produce. I took a moment to check out the view from the top of Big Bertha. The Rockies shimmered behind Union Station. The streets of Lower Downtown Denver, or LoDo, were crowded with people checking their smartphones, scurrying between handsome brick buildings, and packing themselves into trendy cafés. Putrid food collected from the alleyways behind those cafés was dripping down my coveralls. I had signed on as a wingman with Waste Farmers, a sustainable agriculture start-up, partly because I needed a job and wasn’t qualified to do anything except write books. But I also wanted to figure out why my friends who’d purchased Big Bertha were determined to be part of a revolution that would change the way we eat, and perhaps more important, change the way we live. This made no sense to me, but after my friend Mostafa died, nothing else seemed to make any sense either. I decided to go along for the ride.